Stage II colon cancer (CC) represents a challenging scenario for the choice of adjuvant chemotherapy; here, histologic factors need to be weighed up to establish the risk of recurrence. Tumor budding (TB) has recently been indicated as a confident predictor of clinical outcome in CC. Likewise, the presence of poorly differentiated clusters (PDCs) in a tumor has been pointed out as a leading criterion of a tumor grading system. Our aim was to evaluate in patients with stage II CC the relationship between these features and clinical outcome. 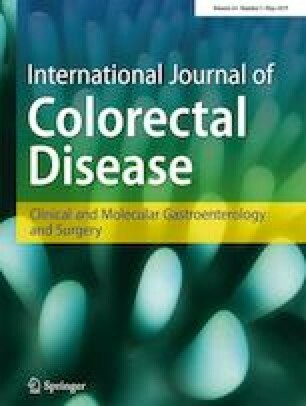 The study included 174 cases of stage II CC; histopathologic parameters such as TB, PDCs, microsatellite instability (MSI), and CDX2 expression were analyzed. There were 107 (70.9%), 32 (21.2%), and 12 (7.9%) TB scored 1, 2, and 3 respectively; 113 (72.9%), 30 (19.4%), and 12 (7.7%) tumors showed grade 1, 2, and 3 PDCs respectively. A high-MSI was detected in 32 cases (18.4%) while CDX2 was negative in 20 (11.5%) tumor samples. In the whole study population, only the TB was found to be associated with disease-specific survival (P = 0.01). No parameter apart from age (P = 0.04) was a significant prognostic factor for overall survival (P < 0.05). Other commonly reported variables, including tumor size, degree of tumor differentiation, lymphovascular invasion, number of lymph nodes harvested ≥ 12, MSI, and PDCs, were not shown to have significant results. Although confirmatory studies are awaited, our work supports the role of the TB in defining risk groups of the stage II CC. Adriana Romiti and Michela Roberto contributed equally to this work. The online version of this article ( https://doi.org/10.1007/s00384-019-03279-1) contains supplementary material, which is available to authorized users. We wished to thank Dr. Laura Di Fede and Dr. Denise Quacquarini for technical assistance with immunohistochemistry and molecular analysis. The study was conducted in accordance with the Declaration of Helsinki and the protocol approved by the institutional (Sapienza University) ethical committee (N.3874_2015/22.10.2015).